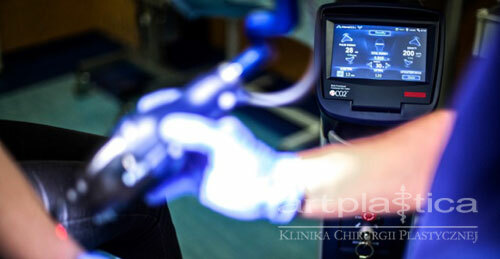 Laser eCO2 is a certificated medical device (CE and FDA), designed for treatment of the skin. Superficially targeting the epidermis and promoting collagen remodeling deep in the reticular dermis, the eCO2 effectively and dramatically treats various scars, large pores, uneven skin tone, skin laxity, deep wrinkles and photo damaged skin. Recovery is rapid with minimal downtime. At the moment it is the strongest and most versatile fractional CO2 medical laser used successfully by leading clinics in Poland and around the world. Laxity of the skin (face, abdomen, arms, etc.). Treatments can be performed on the face, hands, neck, abdomen and arms. Laser eCO2 is recommended for women, men (acne scars!) and children (burn scars removal). Single treatment lasts from 10 to 30 min. 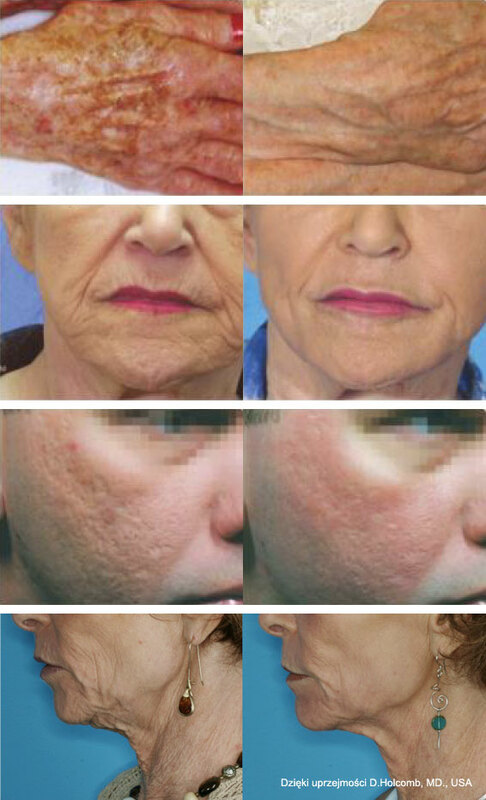 The result of the eCO2 laser therapy is full regeneration of the skin, scars and stretch marks removal, skin smoothing and thickening, the elimination of wrinkles, closing the pores and removing the effects of skin photoaging. The first results are visible after 3 days of treatment and complete recovery takes 7 – 10 days, depending on the treatment aggressiveness. The effects are comparable only with deep CO2 laser dermabrasion but with incomparably less side effects and a shorter healing time.